Keep up to date with what's happening at CATTS by subscribing to our newsletter! 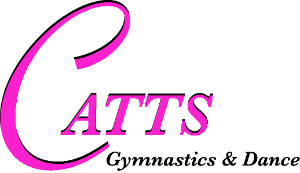 WEBSITE: The CATTS website www.cattsgymnastics.com is a great place to check for closings. It has a calendar on the bottom of the page and I try to keep it updated of the dates we are closed. We DO NOT close for every bank/government holiday or every time that Wamego school is out. The list of our closings is in our Rules and Policies which is located under Handouts on the website. The website is also a good place to check for newsletters. SUMMER SCHEDULE: The Summer Schedule is on the CATTS website and you may sign up for classes any time! If you don't see a day/time that works but you still want to be involved this summer send me an email and I will do my best to get a class for your child. Summer Schedule begins June 3, 2019. AWARDS WEEK: Yearly awards will be distributed to the students the week of May 13. Your child will receive a certificate signed by the CATTS coaches and a medal or trophy depending on the length of time in our program. Medals are given to those that have attended less than one year and then trophies begin at one year. We will pass these out at the end of each class in the dance room upstairs so feel free to take pictures of your child at that time! CLOSING REMINDERS: As stated in the CATTS R & P we will be closed May 25-June 2 for Memorial Weekend and end of school year break. Summer Schedule begins on Monday, June 3, 2019. CLASS FEES: Reminder that class fees are due on the 1st of the month and should include a late fee of $5 if paid after the 5th of the month. PLAYGROUP/OPEN GYM: Playgroup is offered for non school aged children Friday mornings 10-11:30 and costs $3.00. Open gym is on Friday nights from 6-8pm. Open to all kids Kindergarten-5th grade. Team girls of all ages may also attend. Cost is $5.00 Our last evening open gym is May 24 until September! Home | CATTS Gymnastics & Dance - Wamego, KS Our summer class schedule is out! Get signed up for summer classes today! Don’t see a class day/time that works...let me know and i will see what we can do! Something went wrong and we could not proceed... Please try again or contact website owner.